If You Dent Em Up, We'll Fix Em Up! Having an Auto Accident is certainly stressful, but getting your vehicle back like it was before the accident doesn't have to be. 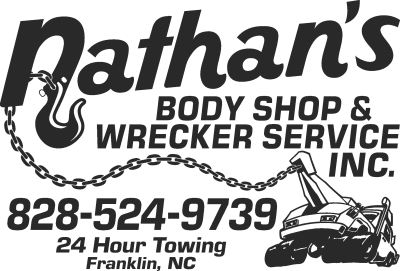 At Nathan's Body Shop & Wrecker Service, Inc., the vehicle owner is our # 1 priority. If you want quality, that is what we deliver. 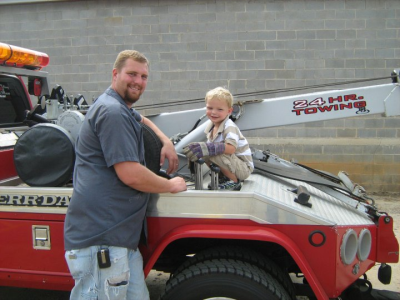 Our technicians are ASE, ICAR and Towing Certified. 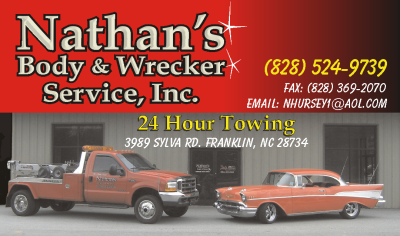 We offer 24 Hour Towing and Recovery Service, so whether you are stranded on the side of the road or are involved in an accident, give us a call or tell Law Enforcement that you are requesting Nathan's Body Shop & Wrecker Service, Inc. to pick up your vehicle. 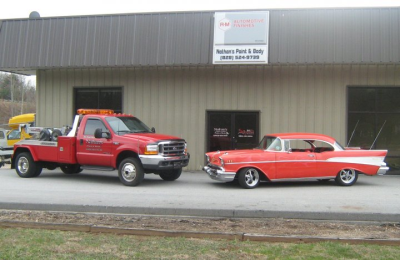 We work with all Insurance Companies and repair all makes and models. 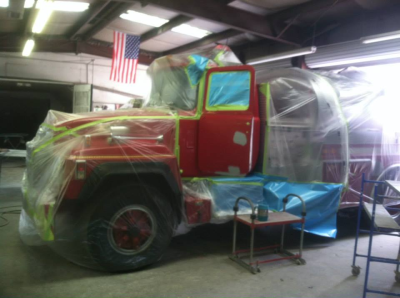 We also repair all commercial vehicles, RV's and Motor Homes. We can fix them all. All work is guaranteed. You have the right to choose. Make sure you make the right choice. 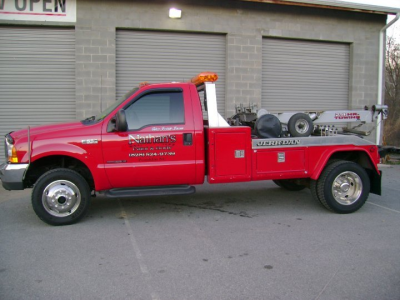 Choose Nathan's Body Shop & Wrecker Service, Inc. for all of your Auto Body and Towing needs. I am never going to get my car back!!!! Minor accident........they have had my vehicle for over a month!!!! They can&apos;t get parts right, owner will not return calls. This has nothing to do with insurance co- It&apos;s Nathan&apos;s issue! Think twice unless you have a few other cars to drive. Take your vehicle to your makers body shop, I should have. I recommend Nathan&apos;s body shop for any repairs. They did a great job repairing my vehicle and in a timely manner! The guy that towed the vehicle was friendly and courteous and so was the office staff. We had a very warm hearted, down to earth wrecker driver (Matthew) come to our rescue today. Our truck broke down and he arrived promptly (15 mins before the estimated time) to help. We told him that we were visiting from Florida and needed a rental car but everywhere we found was closing soon (before we would be able to get there). He then called someone he knew who offered to stay open past closing time to help us. On our ride to the dealership he suggested some nice places for us to see while we are here. He also gave us a ride to the rental car place after dropping the truck off at the dealship and called us about 45 mins after dropping us off to make sure we were able to get a rental and that everything was ok. We will be saving his number just in case we need him when we come back to the area. I would highly recommend this company to anyone in need of a tow. It&apos;s a special day when someone goes out of their way to help you and that&apos;s what this gentleman did today. I cannot express in words how truly grateful I am for his kindhearted help. I wanted to let everyone know that I am extremely dissatisfied with Nathans Body Shop & Wrecker Service, they were unprofessional and made it clear they are just out to get as much money from people and insurance companies as they can. I was in a fender bender where my back door needed repaired, the gentlemen who hit me insurance covered the damages. Nathans claimed that the money the insurance sent was not enough, ok insurance said they would settle it with Nathans. Nathans however before being able to settle out with them decided to fix my van and then refuse to release it to me because the fix was not paid for. VERY unprofessional.. i would of picked up my van and brought it back once they got everything settled instead of even talking the me the CUSTOMER about it they let me stranded over the weekend without my vehicle, thankfully the insurance company was sympathetic with me and rented me a van for the weekend. Also when dropping my van off we asked if Nathans could do an inspection they said yes when i went to pick up the van after having to wait all weekend and they didn&apos;t know where my keys where then i was told they didn&apos;t have the inspection done because the only guy there was to busy leaning back in a chair... But at this point my tag had expired and there was nothing i could do because THEY had my van and didn&apos;t have any sympathy for me at all refused to do the inspection so i had drive on a expired tag to find somewhere else to do the inspection. While driving to get an inspection the doors on the van locked and the back door (that they replaced) made a HORRIBLE noise so i called them. The guy that fixed it was going on vacation and I was told I couldn&apos;t bring it in until the Following Tuesday (today) I was told that it might need to be greased (ok, I am ok with that) but if it needs parts then I will be required to pay for them and for them to fix it (I am not OK with that) SO they pick a defective door put it on and do not make sure it is in working order and This is something I have to be responsible for??? Never in my life have I ever had such POOR customer service, or felt that it was all my fault when I was actually NOT at Fault.